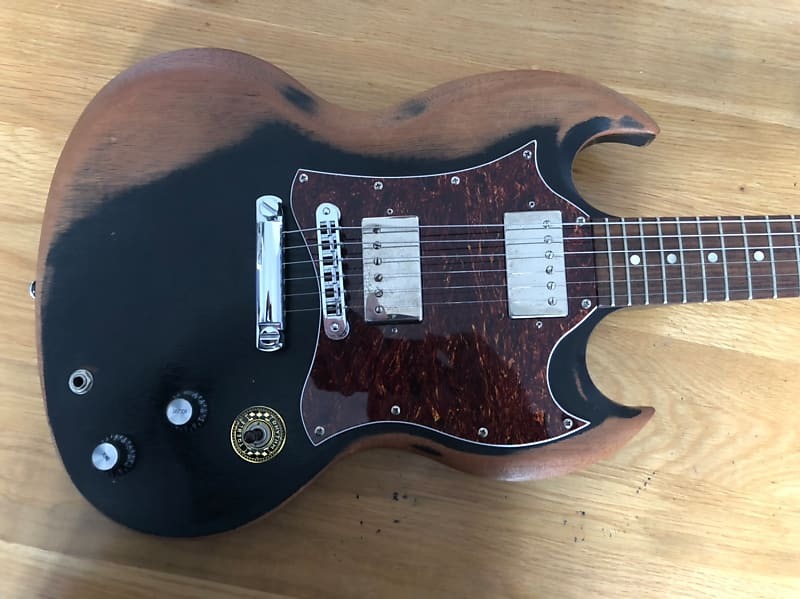 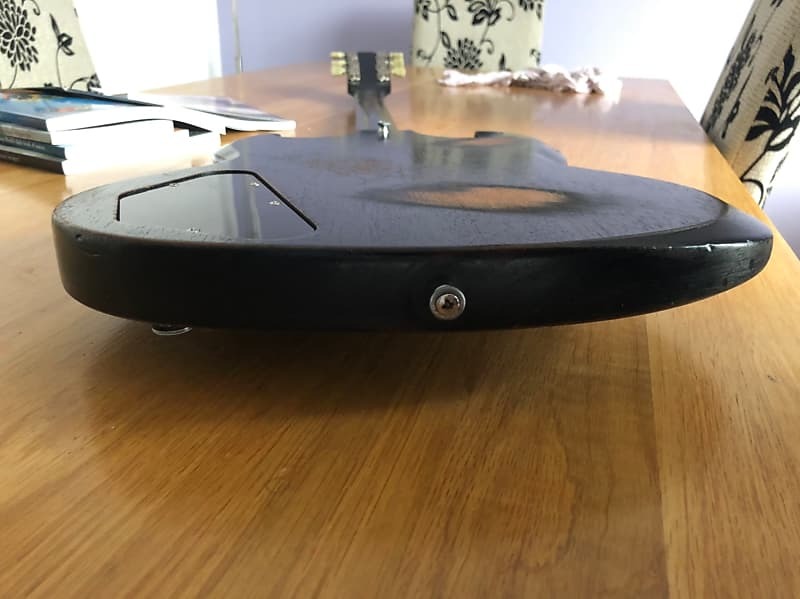 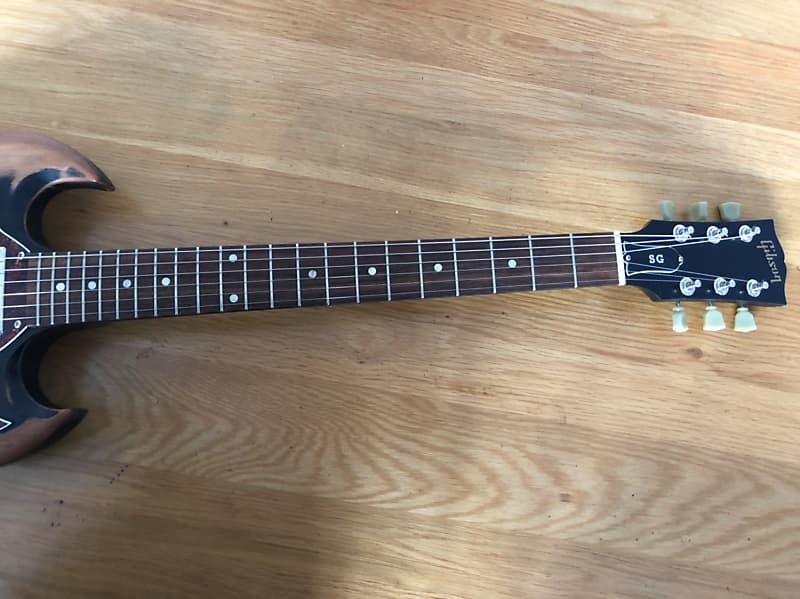 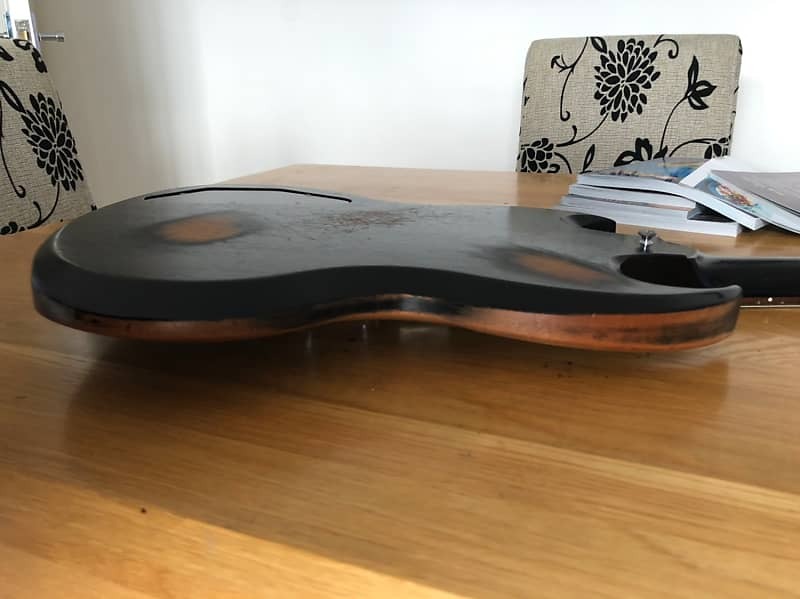 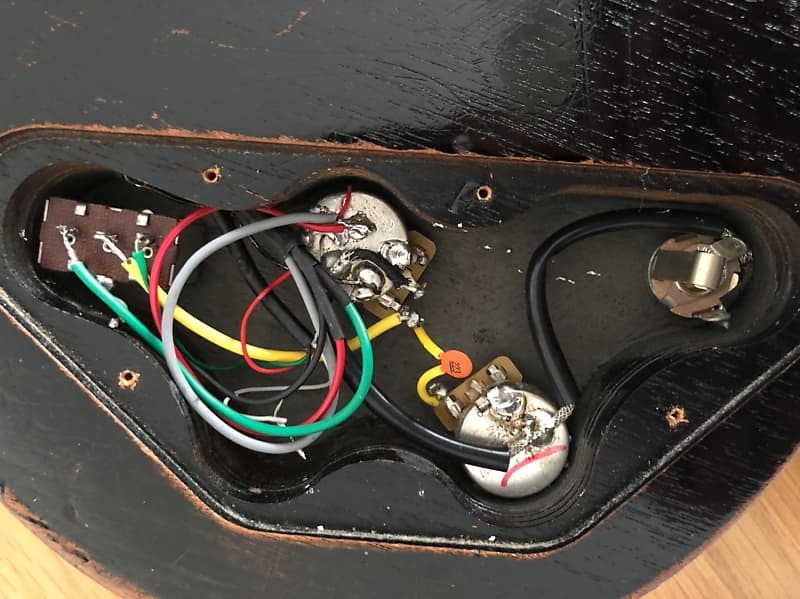 For sale is a Gibson SG Special in black/ebony, with a Tort' 'plate and lots of wear. 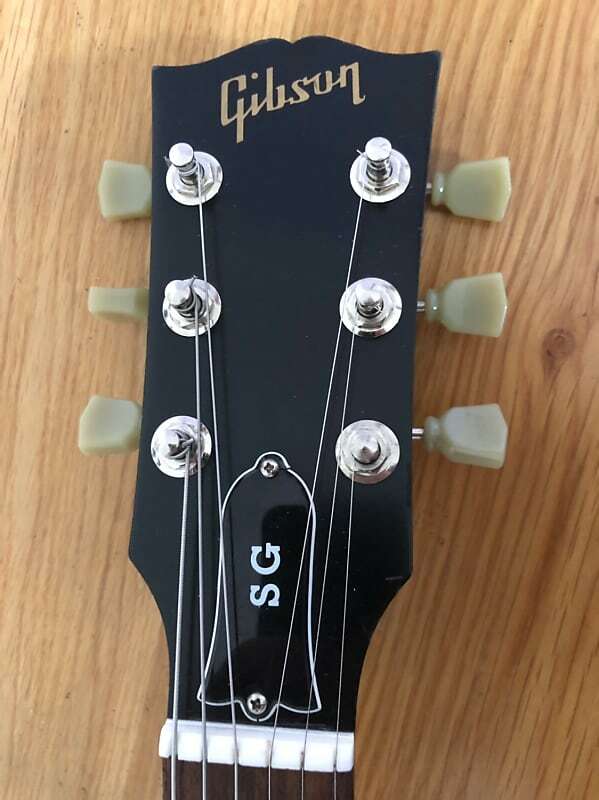 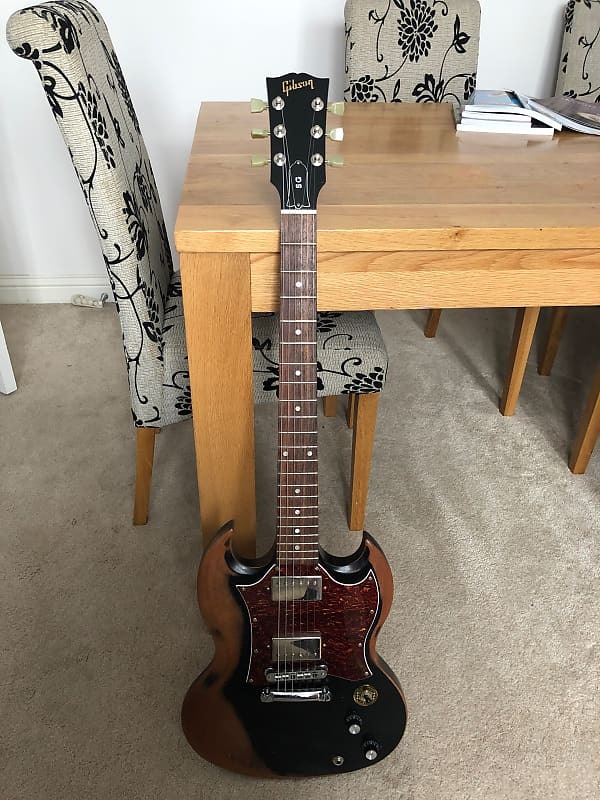 This started life as an SG Special Faded Three, the model with three pickups. 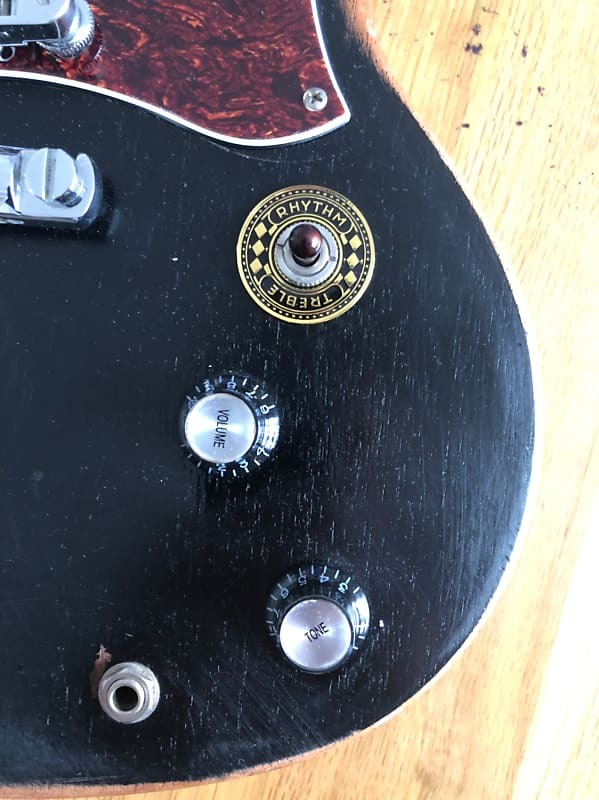 The previous owner stated that all the wear was genuine, but I'm not so sure. 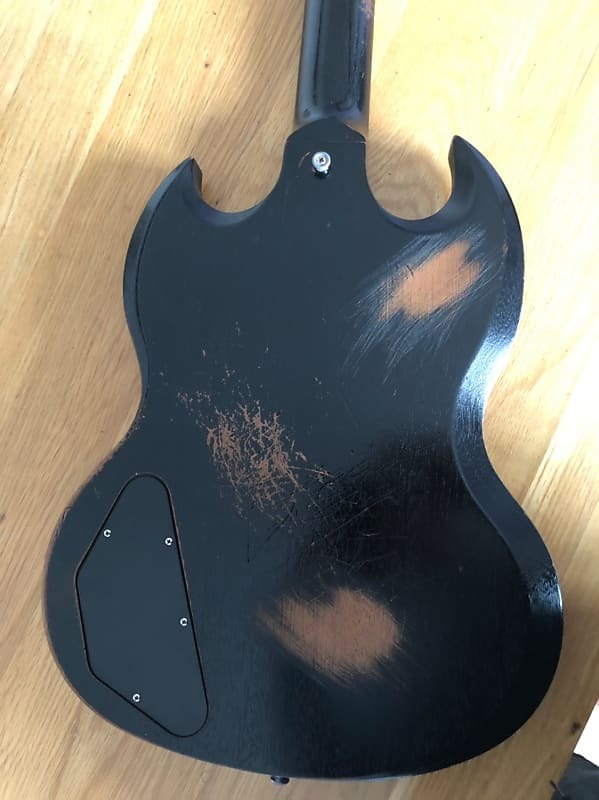 Either way it's unique and looks good, these Faded models have a thin layer of paint that does wear easily. 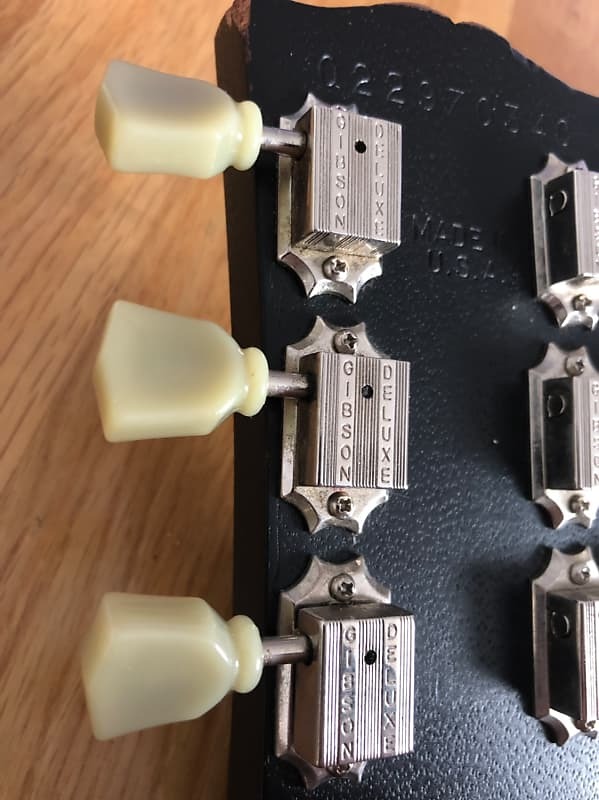 Some of the wear looks genuine, but whether it was "enhanced" I do not know. 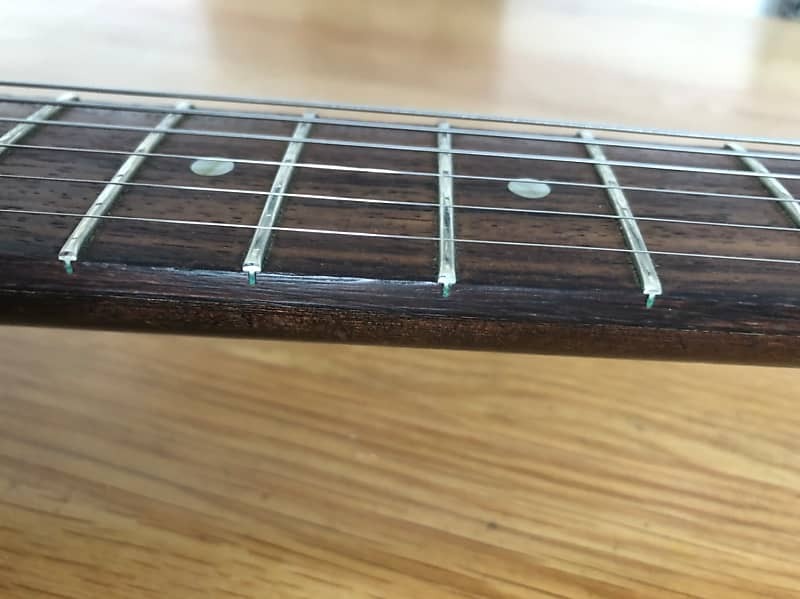 It plays great, the neck is really smooth on the rear, that's definitely genuine wear, you can tell from the appearance. 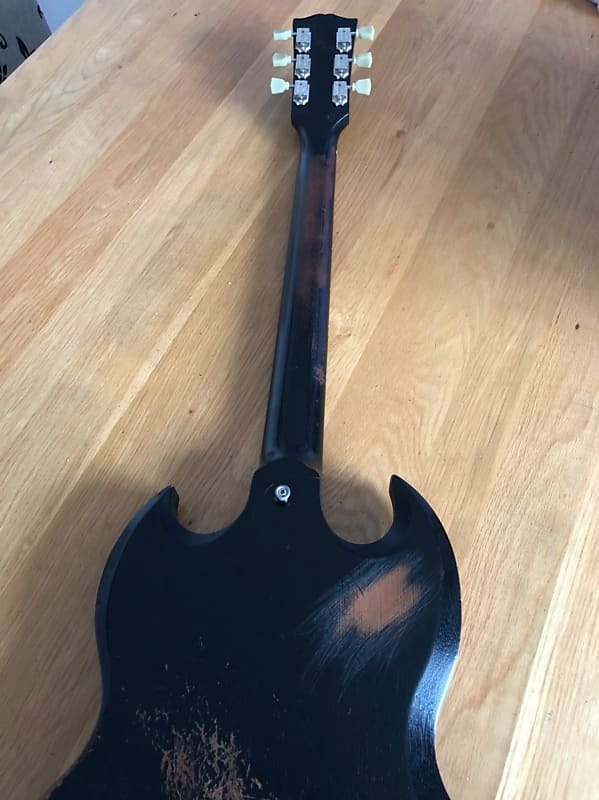 It comes with its original Gibson soft-case.